​Fans + spectators are welcome to come and watch the fun! 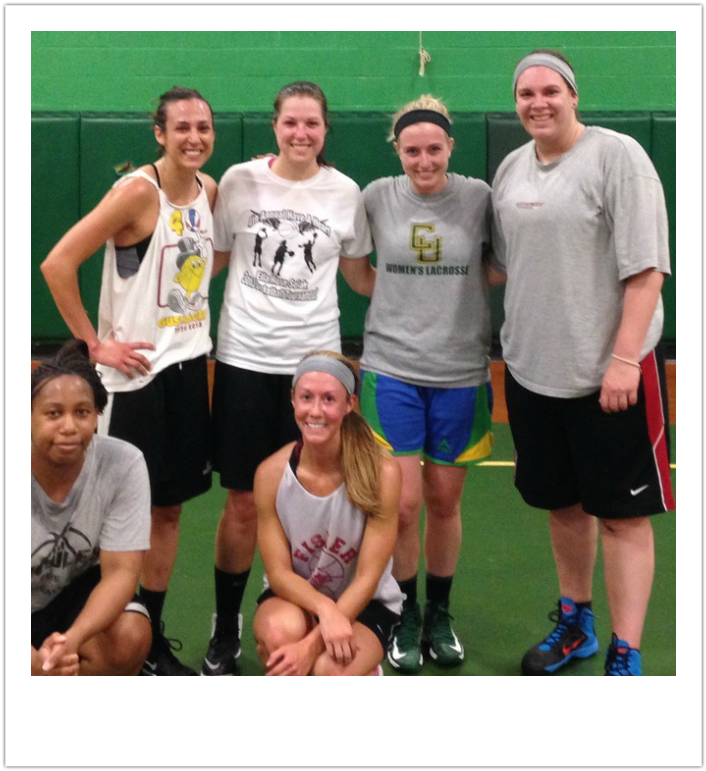 Every Monday night from March 21st through May 23rd, B2B women's league will play at St. Matthew's gym in North Tonawanda. First tip is 6p.m. Come watch these ladies leave it all on the floor! In week 9 action, Ball is Life walked away with a W after Doc's was forced to forfeit leaving them undefeated at 7-0. Dave's Girls won against No Answer in the second game of the night. Playoffs week will see Dave's Girls face No Answer in the 3rd/4th place game while Stars take on Ball is Life in the championship at 7pm. Week 7 saw Ball is Life take on No Answer for the 2nd time this season. With another night of hot shooting from Cavo, (8 drains from downtown hot), Ball is Life walked away with a convincing win of 86-53. The second game of the night saw Doc's take on Stars. Playing solid, smart basketball Stars went home with the W: 78-41. Week 6 saw Stars defeat No Answer 56 to 47 while Ball is Life had another stellar night from from behind the arc defeating Dave's Girls 98-48. In the final week of the first round of games Stars took on Ball is Life and Dave's Girls went up against Doc's. The first game of the night saw Stars battle Ball is Life. With their up-tempo pace, Ball is Life won with a margin of victory of 72-53. The second game of the night was lights out for Dave's Girls. They took a commanding lead and never looked back winning over Doc's 77-25. Week 4 saw Ball is Life take on Doc's followed by No Answer versus Dave's Girls. In our first game of the night the score was 6-0 for the first 4 minutes of play until Ball is Life started to light it up. They continued on a jaw-dropping pace to a 102-50 victory over Doc's. The second game of the night saw No Answer take on Dave's Girls. 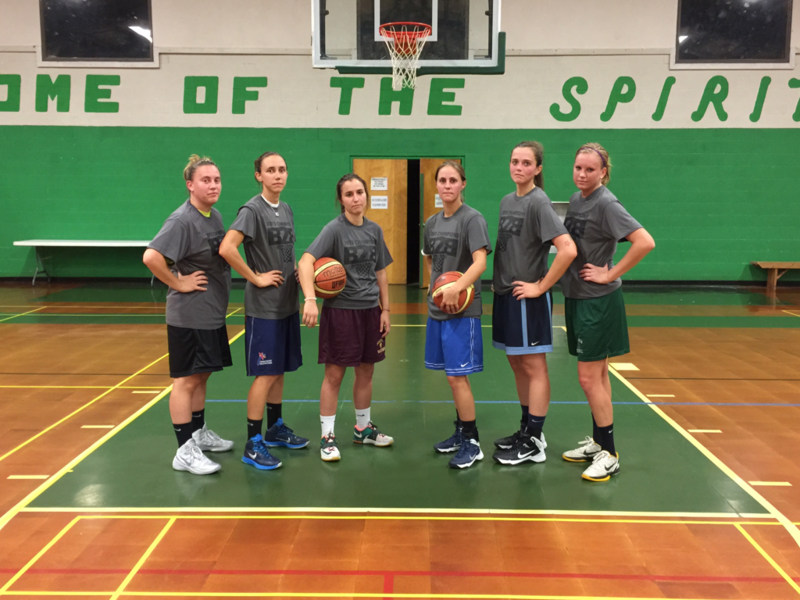 Dave's Girls were the second team of the night with hot shooting outside. They opened up with a convincing lead over No Answer who was only able to pull it within 10 for a final score of 73-63. Week 3 saw Stars take on Dave's Girls at 6p.m. and No Answer take on Doc's at 7 p.m. Both Stars and No Answer head into week 4 with wins! See everybody next week! Week 2 brought in more action to the beginning of our season! Ball is Life took on No Answer for the first game of the night. Solid shooting throughout the game aided Ball is Life to a 70-56 victory. Our second game of the night highlighted Doc's first game of league play. They recorded a W in the books as Stars had to forfeit. Looking forward to having everybody back next week after the holiday. Our B2B Spring League just kicked off on Monday night. What a fun night of action! First and foremost, 10 Feet Up would like to welcome Amanda Cavo back to Buffalo! As one of Buffalo's Local Legends, we are honored to have her playing in our league. Our first game was between No Answer, our returning league champs, and Stars. No Answer pulled away from Stars with a final score of 61-37. The second game of the night was between Dave's Girls and Ball is Life. With a score of 84 to 66, Ball is Life went home with the victory. Great 1st week! See everybody next Monday. Week 8 was the last chance for teams to improve their record until next season. The night's consolation game saw U Can Name Us and Stars battle it out for the 3rd place spot over 40 hard fought minutes. Stars had a comfortable lead until Erin Strassburg started lighting it up from downtown. Her hot hand along with 2 huge shots from Jodi Luedemann quickly brought U Can Name Us back into the game in the closing minutes. With the lead in the final 2 minutes, U Can Name Us was left no choice, but to foul Stars and get them on the line. U Can Name Us had to pick up 6 quick fouls to get Stars on the line. In that process, Chrissey Fretthold picked up her 5th foul and had to leave the game. With just under a minute left the two teams battled it out 5v4. The Stars were able to secure 3rd place at the Charity Stripe winning the final game with a score of 65-61. The championship game of the evening was between the 1 & 2 seeds, No Answer and Fweef, respectively. No Answer jumped out to a commanding lead in the 1st half. Fweef struggled finding the bottom of the net as they were held to only 3 points in the first 17 minutes of play. Solid team basketball, strong defense and efficient ball movement gave No Answer a 27 point lead at halftime. They continued their lead in the second half allowing Fweef only 38 points for the game. Congratulations to No Answer who not only walks away with their B2B Championship t-shirts, but the pride and bragging rights of 1st place until next season. 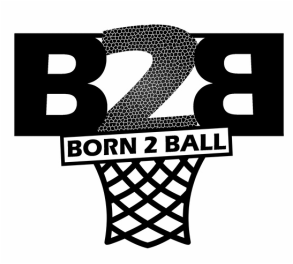 10 Feet Up would like to recognize all the participants in our 1st EVER Born 2 Ball League! Great competition and good sportsmanship were key ingredients in making this first season a success. Special thanks to our devoted refs Cecile Owens and Roz Dominico. Week 7 was the test for teams to stay alive and advance to the championship game or drop into the consolation game. No Answer proved to stay hungry for their first place spot as they secured a convincing win over Stars. Fweef and U Can Name Us on the other hand had a highly competitive game for the full 40 minutes. Going back and forth the game was kept close for the duration of the game. The chemistry between post Rachel Martin and guard Carissa Ferucci was that which couldn't be stopped. Fweef, however, answered back with 3 balls and attacking the rim. In the end U Can Name Us had to pump out 6 fast fouls to stop the clock and put Fweef at the line. With just over a minute left, U Can Name Us did not pick up their 7th team foul until 30 seconds left. Fweef was able to hit their free throws and walk away with a 4 point win. Week 8 brings the championship game between our 1 + 2 seeds, No Answer and Fweef, respectively. Our consolation game will be between seeds 3 + 4, U Can Name Us and Stars, respectively. Week 8 will be an exciting and competitive 2 games. Be sure to stop by and check it out! U Can Name Us kept their win streak going in week 5 against the Stars. A solid defensive game by both teams lead to B2B's lowest scoring matchup yet. In a 39-34 win, U Can Name Us tallies their 2nd win of the season which is critical heading into playoffs! Our 2nd game of the night between Fweef and Squad was another competitive battle. Going back and forth for the majority of the game, Fweef was able to maintain their lead in the final minutes of play. Squad was left no choice but to foul at the end to stop the clock and send Fweef to the line. Capitalizing at the charity stripe, Fweef pulled away boosting their record to 3-1. Playoffs are around the corner! Looking forward to a highly competitive final 3 weeks! Week 4 brought U Can Name Us into the WIN column as they took on the fearsome Squad. U Can Name Us went on a 10-0 run halfway through the 2nd half. Lead by Rachel Martin's conversions on deceptive no-look passes from PG Meg Macguire, these two helped guide U Can Name Us back into the game at a critical point. Their momentum continued as they took the lead going into the final minutes of the game leaving Squad no choice but to go into a fouling frenzy to stop the clock. U Can Name Us extended their lead at the charity stripe sealing the W.
Game 2 of the night was the battle of the undefeated records: FWEEF + NO ANSWER. No Answer jumped out to a dominant lead in the first half making it hard for Fweef to claw their way back into the game. Consistently smooth shooting from Eva Cunningham on the perimeter with solid post moves down low from Tara Caples made these two a dynamic, contributing duo in the first half . Linny Stoddard helped Fweef get back in the game with her speed and rim attacks in the 2nd, but it wasn't enough for Fweef to take the lead. No Answer walks away unscathed going into playoffs. Week 2 welcomed U Can Name Us to their first week of Born 2 Ball competition. The first half provided a lot of back and forth action behind the arc from U Can Name Us shooter, Erin Strassburg and No Answer's Joelle Pollak. After a close first half, No Answer was able to pull away in the second half walking away with their 2nd win of the season. Game 2 of the night was a fierce match-up between the Stars and Squad. The lead changed numerous times thanks to hot shooting and Sports Center worthy drives from both teams. The depth and experience of the Stars' roster was enough to pull away from Squad in the final minutes of the game. What a fun and intense battle this game was to watch! 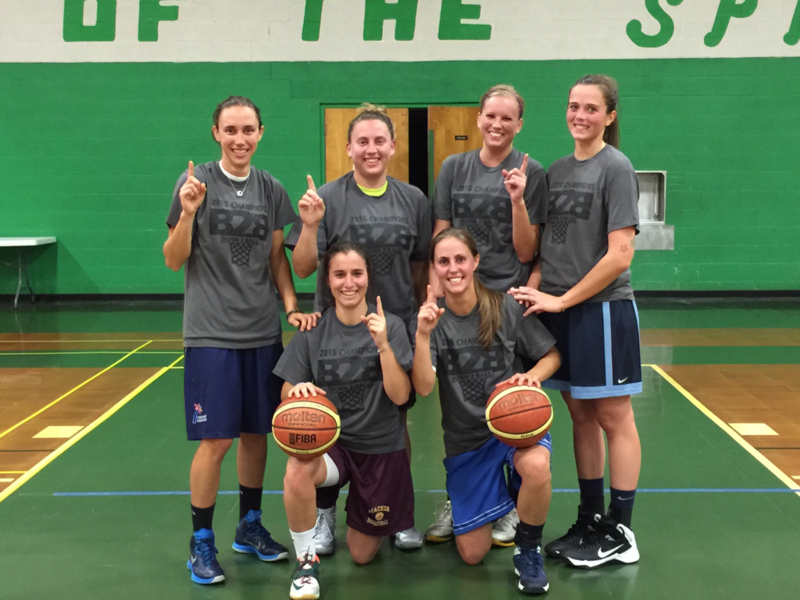 ﻿Congratulations to our 'tip-off' week for our first ever Born 2 Ball Competitive Women's Basketball League. Strong competition, advanced basketball IQ and solid basketball made this first week of games exciting to be around. Our first week winners are Fweef and No Answer. U Can Name Us rests up during this first week with a bye as they prepare to take on No Answer in week 2.